Venice Originals to Host Ozone Gear 9-29-12 - Yo! Venice! 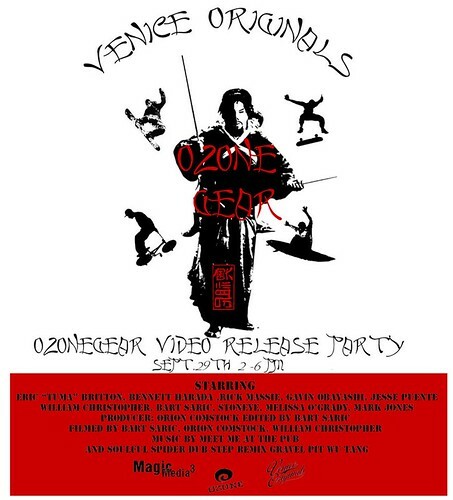 On Saturday, September 29th, Venice Originals will host a video release release party for Ozone Gear from 2-6pm. The new video features Eric “Tuma” Britton, Bennett Harada, Rick Massie, Gavin Obayashi, Jesse Puente, William Christopher, Bart Saric, Stoneye, Melissa “Lizard” O’Grady and Mark Jones.